The print proof of Making Ear Candy has shipped and is on its way to me! I hope to have it in my hands in the next day or two. Any tweaks I need to make to this first edition will be done this week, and my plan is to have several copies available for ComiCONN at the end of the month. I will also be releasing the digital version at the same time. I've also gotten feedback and am completing edits on my first short story for Kindle Worlds. It's called Centurion, and it takes place in Valiant Comics' X-O Manowar universe. I'm really excited about this one and it should be available very soon. A new episode of Secret Identity was posted this week, featuring reviews of Batgirl, Fantastic Four, Six-Gun Gorilla and more. 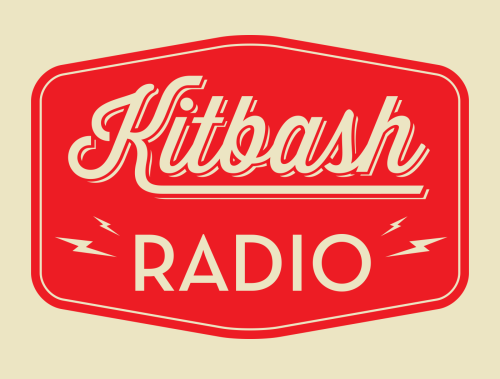 The third episode of Kitbash Radio also dropped this week, in which Jeff Rodgers and I discuss the making Ear Candy book cover as well as business card design. Episode #6 of See Brian Write was also posted this week, and featured an interview with author Grant Koeneke as well as my gushing about how awesome Joanna Penn's website is. I saw The Conjuring while on vacation and wrote up a review for Secret Identity. And finally, I posted on Co-Op Critics about a fun SEGA light gun game I played at the arcade when I was at the beach with my family. So, even though I technically wasn't around this week, I still got some things done. More on the book in a few days! 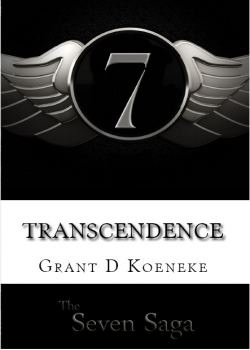 In the sixth episode of See Brian Write, my guest is Grant Koeneke, author of Transcendence, the first book in the Seven Saga series. This episode's Writer's Toolbox features Joanna Penn's amazing website and podcast, The Creative Penn. You can keep up to date with the Seven Sage and all of Grant's projects over on his website, http://grantdkoeneke.com. This morning Jeff Rodgers and I posted the latest episode of our design and small business marketing podcast, Kitbash Radio. In this episode, we talk about the amazing cover Jeff designed for my new book, as well as the do's and don'ts of business card design. 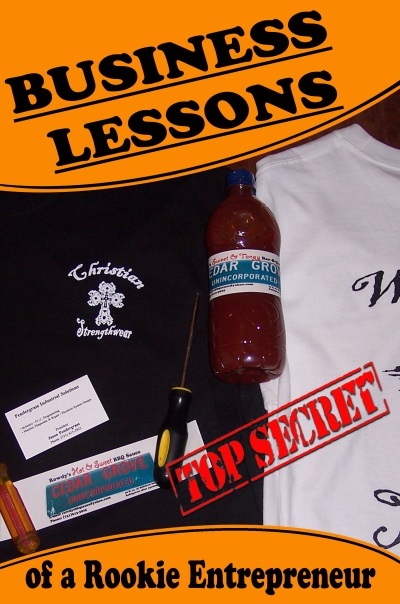 You can still check out old blog lbobi.com for updates while we transition over to our new site, getkitbashed.com. You can also keep up with Kitbash news on twitter at twitter.com/getkitbashed. Our theme music is generously provided by Jeremy Horn. Announcing My New Book--MAKING EAR CANDY: THE AUDIO CONFECTIONER'S GUIDE TO PODCASTING! 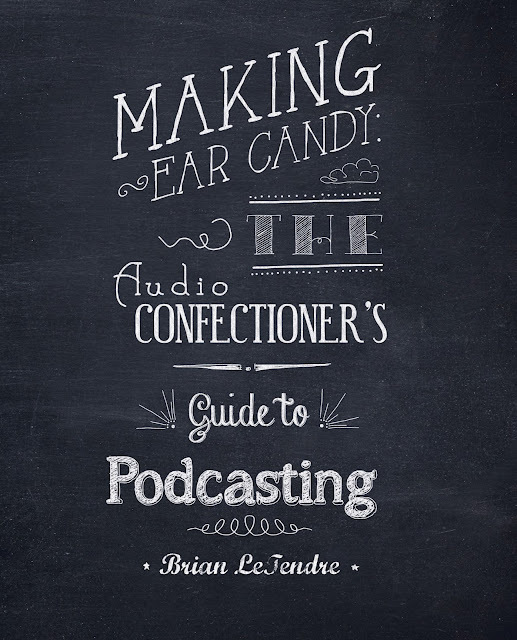 I cannot tell you how excited I am to unveil the cover and title of my upcoming book, Making Ear Candy: The Audio Confectioner's Guide to Podcasting. If you have ever thought about starting your own podcast, then this book is aimed squarely at you. This book has been a labor of love, as its allowed me to reflect on the over seven years and thousands of hours I've dedicated to creating and producing podcasts. I will be talking and writing about it much more in the coming weeks. At this point, The plan is for the book to be released in early to mid-August. The amazing Jeff Rodgers (Kitbash, lbobi, ARP) really outdid himself with this design. I cannot thank him enough for putting together such an awesome cover (but I will continue to try). Letters From Camp NaNoWriMo--Back at Camp and Having a Blast! When I participated in Camp NaNoWrimo back in April, I wrote a series of posts about my experience. I loved it so much that I’m back at camp for the month of July, and so far, everything is going great. 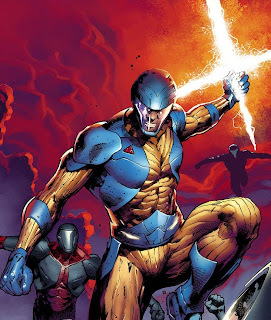 This time around, I’m writing a short story about X-O Manowar, a character in the Valiant comic book line. Valiant joined the new Kindle Worlds fan fiction platform on Amazon, and I want to be one of the first ones to get a story up there using some Valiant's awesome characters. Just like last time, one of my favorite aspects of Camp NaNo is the cabin feature, which puts you in a small group of writers working on similar projects, and encourages you to interact and support one another throughout the month. I have a very active cabin this time, with people working on everything from full-length novels to short stories to editing project. That’s the other great thing about camp NaNo--there’s a lot of flexibility around what type of projects you can do. I can’t say enough about how much fun it is to have a group of people cheering you on. It’s a great motivator, and I’m already over the halfway mark of my 10,000-word goal. In the fifth episode of See Brian Write, I chat with Jason Pendergrass, the author of Business Lessons of a Rookie Entrepreneur. In the Writer’s Toolbox, I talk about Joel Friedlander’s website The Book Designer. 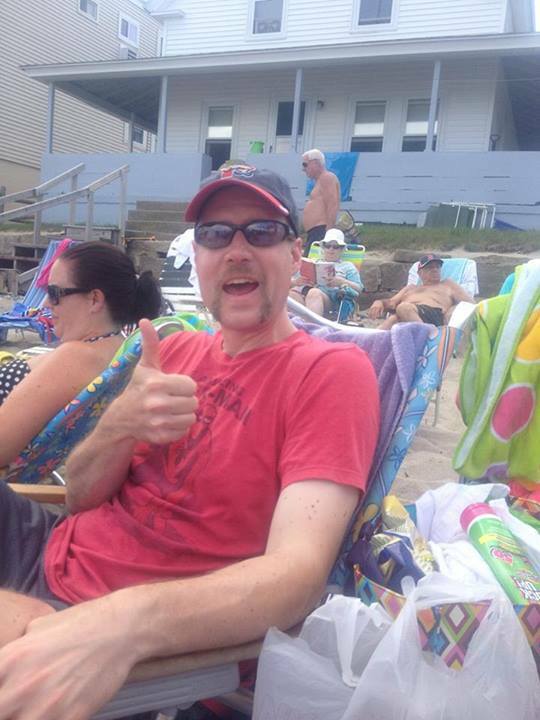 So, I turned 39 on Sunday. I’m at that age now where people younger than me think I’m old, and people older than me think I’m an idiot for thinking I’m old. It’s an interesting age though, 39. It’s the countdown year to the big 4-0, and I’ve kind of put a lot of pressure on myself to make this year a breakout year in terms of my writing career. Right now, I’ve got a how-to book about podcasting that should be available at least electronically by the end of July. I’m working on a short story for the new Kindle Worlds platform that could be up in August, and I’m currently editing my second horror novel. So, by the end of 2013, my writer platform will have grown quite a bit. And then there’s the podcast. Tomorrow, the fifth episode of See Brian Write will be posted, and so far I’m having a blast and getting a great response. Interviewing other writers and hearing about their stories has already made starting the podcast worth the effort. My goal by the time I turn 40 is to have a much clearer picture of where my writing career is going. So, I have a lot of expectations for this year, and a lot of big plans. I look forward to writing about that journey here on the blog and talking about it on the podcast. I will leave you with a “feeling old” story that happened to me on my birthday. I’d decided to treat myself to some ice cream and went to the local mom and pop ice cream shop. 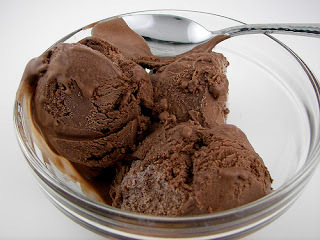 As the girl woman behind the counter was scooping out my sugar-free chocolate ice cream, the song “Breakfast at Tiffany’s” by the alt rock band Deep Blue Something came over the radio. “This song was really big back when I was in college,” I remarked. I did not have the heart to tell her that I was in college in the early 1990’s, and that “Breakfast at Tiffany’s” debuted in 1994. I proceeded to go home and eat my feelings. In the first post of this series, I talked about using SoundCloud as the platform to deliver my new podcast, See Brian Write. Once I had made that decision, I needed to find actual guests for the show. When I was getting ready to launch toward the end of May, I put the word out on Twitter that I was looking to interview writers. As luck would have two, I got a couple of responses right away. Adam Ortyl (Leah and the Jackhammer) and Sean P Wallace (Deep Echoes) both expressed interest, and within a couple days we had set up interviews. Hopefully you’ve gotten a chance to hear Adam and Sean’s interviews in the last couple episodes of See Brian Write. Both of these guys were fantastic guests, and they represent exactly what I want See Brian Write to be all about--great conversations about writing. My pal Richard Billings of Screwpulp (you can hear him in episode one of the show) also put the word out in his author newsletter, and I connected with several other writers who I’ve since interviewed as well. What I’ve learned so far in putting this new podcast together is that there’s plenty of writers out there who would love to talk about their experiences, and are happy to have a platform to do so. For me, that makes the podcast a success no matter what happens with it in the future. If you’re a writer who’s interested in coming on the show, email through the blog here or reach out over twitter (@SeeBrianWrite). I am already booked through most of the summer, but I will get you on the show--I promise! Talk about waiting until the last minute! 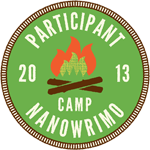 I signed up for Camp NaNoWriMo this morning, the first day of the monthly writing challenge. I hadn't really planned on participating this time around, as I've been busy with putting the finishing touches on my podcasting book and editing my next horror novel. But, two things helped me change my mind., First off, a good friend of mine is doing Camp NaNo for the first time, and it's always fun to have someone else taking the challenge along with you. Second, I mentioned last week how excited I am about Kindle Worlds, so I figured Camp NaNo was a great excuse to write a short X-O Manowar story to submit to Amazon's new fan fiction platform. So, here I am. My goal for the month is a modest 10,000 words, which is a little over 300 words a day. This should be manageable, even with everything else I've got going on for the month. I'll be posting updates here and talking about the challenge on a few episodes of See Brian Write. If you're taking part in Camp NaNoWrimo, let me know what you're writing about in the comments. Good luck and have fun!